The mystery of Venice can also be solved at the table. It’s a good starting point to uncover the history and traditions of the city. This is certainly the popular Rialto Marketplace. Since centuries before the Venetians have been coming here in the early morning to guarantee purchasing the freshest fish to cook at home. 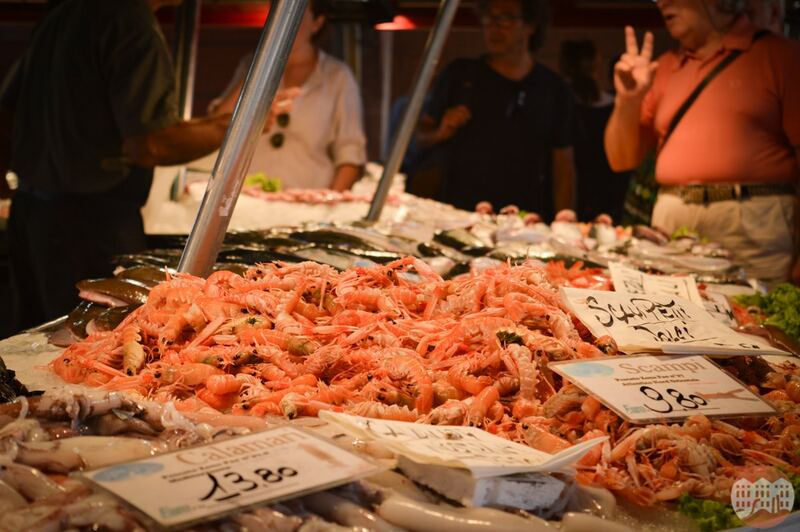 Wandering about the numerous stands, immerging yourself in the live atmosphere of the people and soon the Fish market will become instantly a charming gastronomic game. The Venetian tables in fact, don’t just plate the most well-known fish, but also the patrimonial fish that originate between the incredible islands and lagoon and reward us with new and unexpected flavors. To stroll under the neo gothic vaults of the buildings along the fish market is a unique experience. Face that beautiful part of the Grand Canal, while surrounded by the bustle of the fishmongers and the frenetic movements of the purchasers. The fish market gives an authentic feeling to Venice. It almost seems as if time stopped: regardless of the fish market’s importance, it remains accessible to the everyday person, just as it used to be. Here typical plates are born and served in restaurants. Here you can admire the best catch of the day from the lagoon. You can also choose the most convenient prices and get some “help” in curing the fish or some advice on how to best cook it. To back up the importance if this place for the city, and the respect venetians have for the sea and lagoon, almost one thousand years ago there existed norms issued by the Republic of Venice that regulated the minimum dimensions for fish caught (shown today by a specific plaque), just as there were institutes for the School for the Art of fishing and for fish selling. The Fish Market of Rialto is open from Tuesday to Saturday from 7:30-12:00. Adjacent to the Fish Market you can find fruit vendors; these too are characterized from the swarming venetians ready to judge the best fruit and vegetables.